Are you looking for car tuning news, product reviews and car brand information? Do you want a blog that offers useful tips and advice and informative articles that car tuners can depend on for the latest news and information? Founded in 2012, DAILYTUNING.COM was created by a young team of passionate auto enthusiasts who wanted to give back to the tuner community that had given them so much. 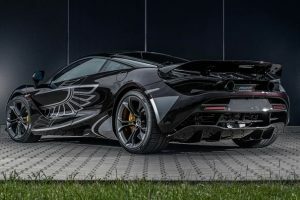 DAILYTUNING.COM is the industry’s largest and most well-known car tuning blog covering a wide range of car tuning news and related articles that offer more information, tips and advice for today’s car tuning enthusiasts. Our mission is to provide the latest, most up to date car tuning news and information and to help our readers find the products that suit their needs and their tuner project goals. At DAILYTUNING.COM, our goal is to offer useful advice, unbiased tuner product reviews and informational articles designed to help you build your next tuner project from the ground up or modify your current ride. We offer daily car tuning news and reviews, along with hiqh quality photos and videos that bring you even closer to the action. With categories ranging from Car Brands and Tuning Companies, to Car Tuning Videos, Images and more, DAILYTUNING.COM has you covered. We value our readers and subscribers and work hard to ensure their complete satisfaction. Every time you visit our site, we will be there to answer any questions and to provide you with the best online experience possible. Subscribe to DAILYTUNING.COM today and let our experienced team of car tuning experts make you a DAILYTUNING.COM reader for life. To learn more about DAILYTUNING.COM or to inquire about having your products or car featured on our site, contact us today and let one of our representatives assist you and answer any questions you might have. Be sure to follow us on Facebook to see the latest articles, the newest tuner cars and the best car tuning how-to’s in the industry.